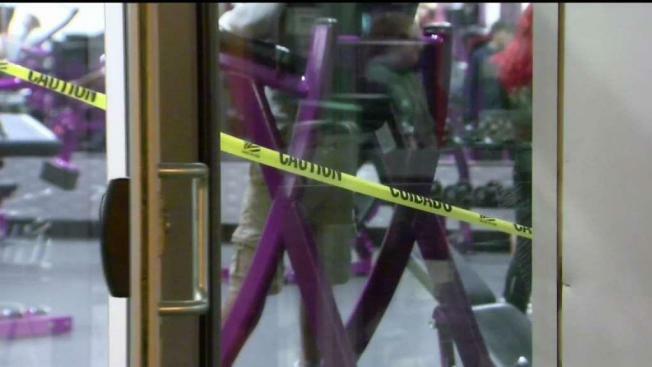 Two People Arrested After Allegedly Shooting Into Planet Fitness in Lynn, Mass. According to investigators, Jahkeal Browne and Kymauri Jean-Lestin shot into the Planet Fitness on Boston Street Saturday afternoon and jumped into a getaway car. A dead end street in Lynn, Massachusetts, was the end of the road for two accused shooters. NBC10 Boston exclusively obtained video showing one of two suspects being taken into custody after the alleged shooting at a gym on the North Shore. They were found near the car on Ashton Terrace as they tried to turn around. "It was good work by everybody," one officer can be heard saying in cell phone video after the arrests. According to court documents, an off-duty police officer heard the gun shots at the gym and followed the two men as they tried to get away. "My son was very scared," said Christina Stevens. "He saw it outside the window. He was wondering why all the cops were coming...it was part of a movie." A witness who was inside the gym described a horror show. In a matter of seconds, he said bullets were breaking glass and people inside were ducking for cover. "All I hear is pop, pop, pop," said the man who asked to remain anonymous. "Sixty to 80 people were in the gym." Browne and Jean-Lestin were in court Monday and hid their faces from the public. Court documents detail a possible motive behind the shooting. The intended target, a man who was in the gym, told police he had history with Jean-Lestin. He said in January 2017, he stabbed and killed Jean-Lestin's friend in a barbershop brawl in Everett. According to police, when they searched the car, they found cell phones, a gun, ammunition, and what appeared to be crack cocaine.